The Brethren’s Workshop, located in this four story red brick building, was constructed in 1829. 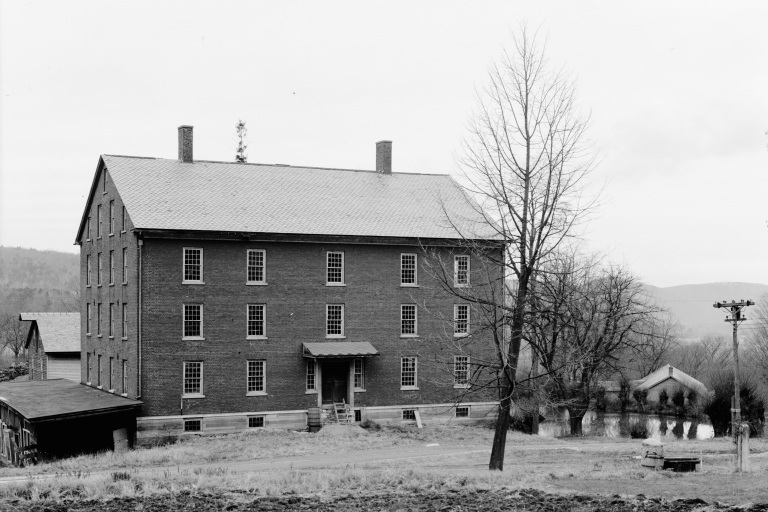 It was primarily used to house the many workshops that employed Shaker Brothers, although in its early days it was used by the Sisters as a laundry house. 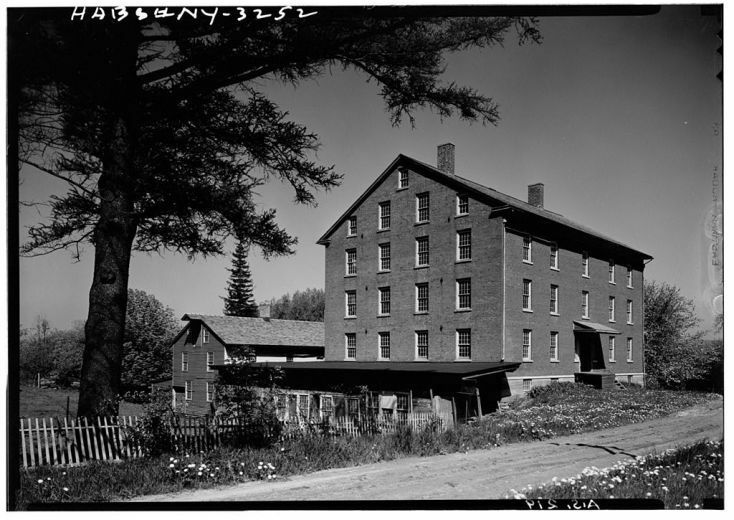 Workshops for shoemaking, broom-making, fruit-selling, and seed production transformed the sturdy brick building into the North Family’s bustling center of production. Here they made goods to be sold beyond the confines of the community. Shakers strived to be “in the world but not of the world.” Early on they realized that people outside of the community could provide funding for their spiritual endeavors and help them acquire goods that they could not produce themselves. The widespread marketing of the Mount Lebanon Shaker’s products such as furniture, herbs, and seeds helped make the community more well-known, while the quality of their products gave them a reputation for being hardworking and earnest. 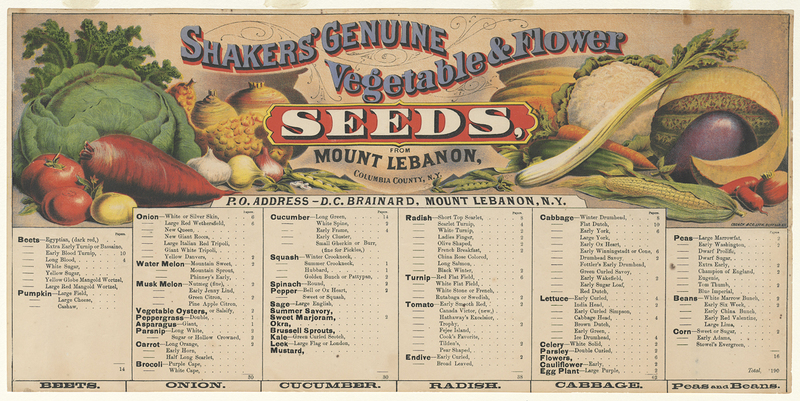 The Shaker Seed Company was one of the earliest companies to sell seeds in America, and the business at Mount Lebanon became the most successful branch of the company. Their seed business, established in 1794, grew into a major operation with trade routes branching all the way to the western frontier. The best sellers were vegetable seeds, but they also sold many other products including vast varieties of flowers, herbs, and grasses. 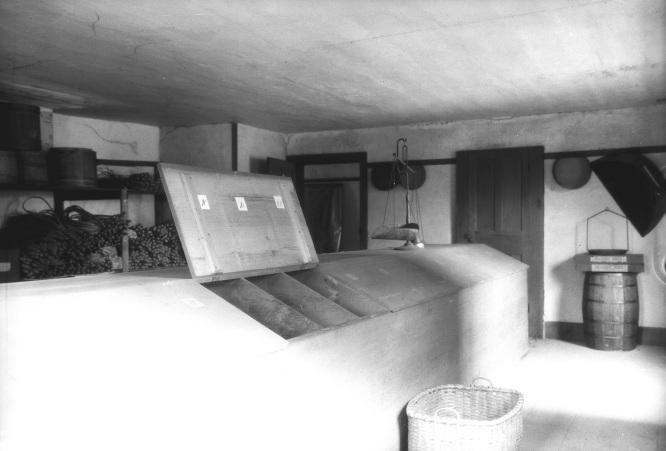 The seed business took place on the second floor of the workshop. Here seeds were stored, counted, and packaged for sale. Shakers were the first to popularize the use of small paper envelopes to package and brand their seeds. The printing of the packets was completed by the Shaker Brothers of the community, while the Sisters took care of cutting, folding, and pasting the envelopes. 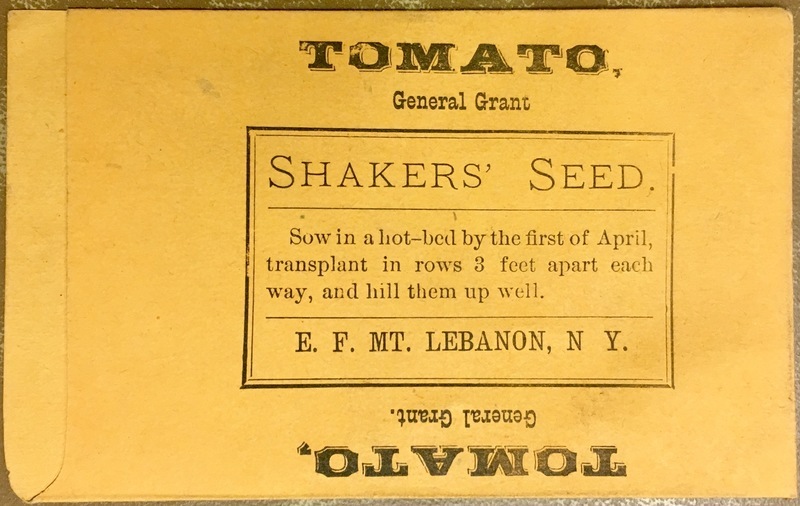 In the early 19th century, the Shaker Seed Company was one of the only seed sources available to American gardeners. The large demand helped make the seed business one of the most lucrative of the commercial enterprises at Mount Lebanon and shaker peddlers would travel far from the community to distribute seeds to buyers. 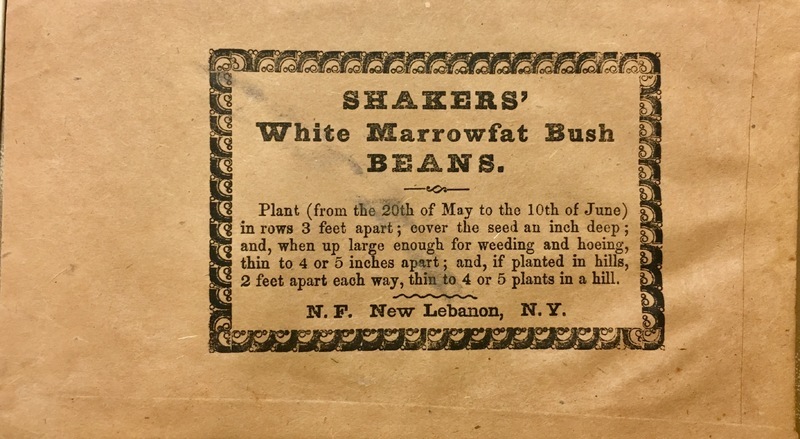 Through the work done in the Brethren’s Workshop, the Mount Lebanon branch helped make the Shaker Seed Company a household name throughout America. 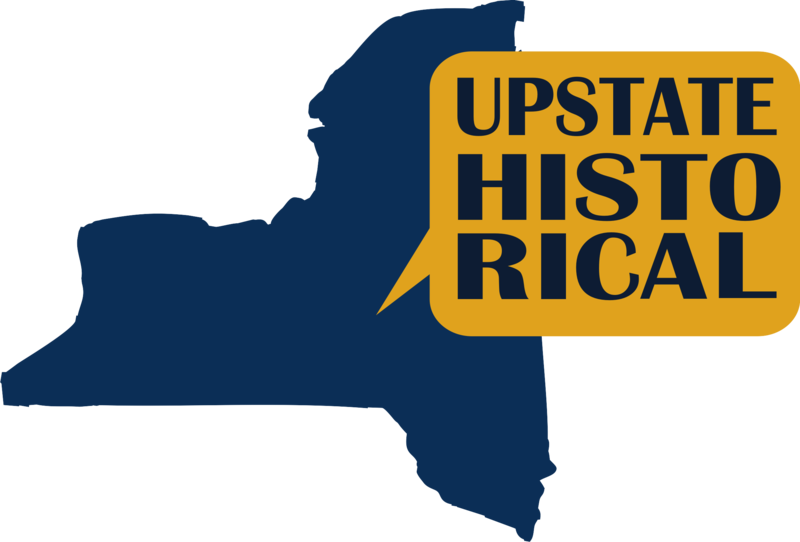 Tess Frydman and Trent Rhodes, “The Brethren’s Red Brick Shop,” UpstateHistorical, accessed April 18, 2019, http://upstatehistorical.org/items/show/43. Komanecky, Michael K., and Leonard L. Brooks. The Shakers: from Mount Lebanon to the World. New York, NY: Skira Rizzoli, 2014. Lassiter, William Lawrence. Shaker Architecture. Bananza, 1966. "‘Tis A Gift To Be Simple’ But to Have a Splendid Garden Buy Shaker Seeds." Smithsonian Libraries Unbound. October 31, 2017. Accessed December 09, 2017. https://blog.library.si.edu/blog/2015/04/22/tis-a-gift-to-be-simple-but-to-have-a-splendid-garden-buy-shaker-seeds/#.Wh9G5EqnE2x. "Writings on the Walls: The Brethren's Workshop." Shaker Museum | Mount Lebanon. April 11, 2017. Accessed December 09, 2017. https://shakerml.wordpress.com/2017/04/12/writings-on-the-walls-the-brethrens-workshop/.